Everyone has heard of the FBI right? The US Federal Bureau of Investigation that inspires images of hard talking detectives in dark suits and sunglasses. But if you work in Broadcast, there's another FBI you should know about. 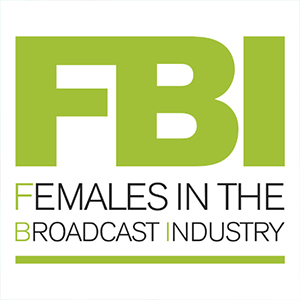 This FBI, as the name spells out, is an organisation specifically geared towards Females in the Broadcast Industry; although it too can appreciate a sharp suit and sunglasses combo! Started in 2014, and formally set up at the start of this year, FBI is the brainchild of Sadie Groom, MD of marketing company Bubble & Squeak. It was set up to provide a support network to women holding non craft roles within television and broadcast, so that's anyone working in operations, engineering, sales, management, finance or marketing. 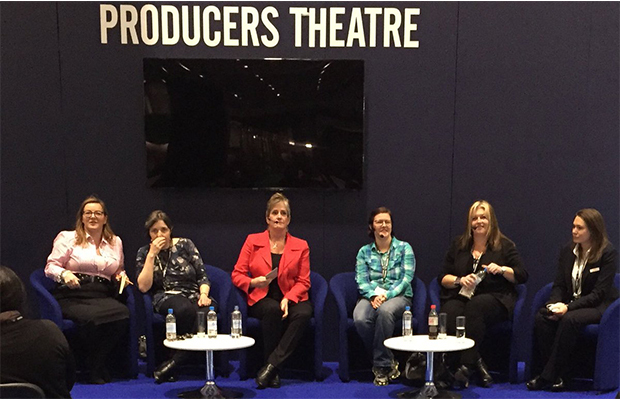 The group has so far hosted two panel sessions at IBC and one at BVE this year. All sessions come up with current themes of lack of confidence, fewer opportunities and how to deal with the career break that is otherwise known as motherhood. If your business is broadcast then the FBI is for you. Membership is free and the aim is to provide members with support, networking opportunities and a louder voice when it comes to discussing and raising awareness of gender based issues that affect its members. That's not to say it's an exercise in bloke bashing. Quite the opposite in fact. Both male and female members are welcomed, to provide a balanced view on key issues like career progression and the perception of women in the industry. Let's take for example the shocking statistic that only 10% of all IBC delegates are women. This illustrates that one of the biggest problems we face right now is a distinct lack of women in the industry full stop. FBI Advisory Panel member Dave Dowling, VP of sales EMEA & APAC at Ross Video, makes a very valid point on this subject: Positions should be filled by the best candidate regardless of gender, but it's very difficult for that best candidate to be a female, if they're just not applying for the roles in the first place. Through panel discussions and interactive events we hope to find out why that is and identify ways to encourage more women to take those roles, then support them when they do so that we all benefit from greater diversity in the industry. The FBI is a means for industry women to get together and support each other; be it by sharing business contacts or by sharing advice and experiences. Right now the FBI is new and so, first things first we need you; to join as members and tell us what you'd like to gain from your membership so we can develop and grow. There are already lots of plans in the pipeline including events at both the upcoming NAB and IBC tradeshows. We are also hoping to bring a resources page to the website where the FBI can share information and articles on specific issues or topics as well as links to the careers pages of our supporting partners.